Right now I’m at Kempegowda International Airport, Bengaluru looking forward to spending an exciting weekend at FUDCon, Pune. It seems my flight is delayed by almost an hour and this is a good time to have a look at the schedule more closely. Why am I looking forward to an ‘exciting’ weekend at Pune? Well, just have a look at the schedule and you’ll understand why. 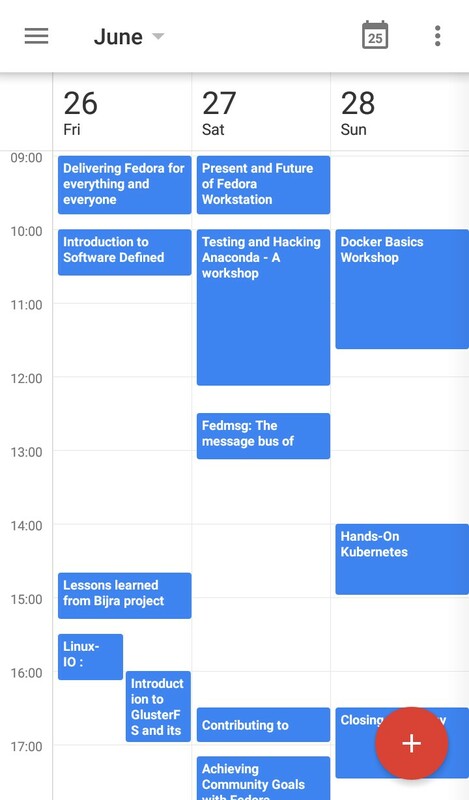 The schedule is packed with a wide range of talks and workshops on really interesting topics. I myself would be talking on kernel ABI breakages along with an introduction to how its stability is tracked through genksyms currently and how an alternative could be possible through spartakus. That would be tomorrow after at 12:30 pm. I really hope my talk can live up to the standards that will be set by other speakers. I guess its time to check-in for my flight now. Also the free WiFi is almost timed out. So see you at FUDCon, Pune 2015.